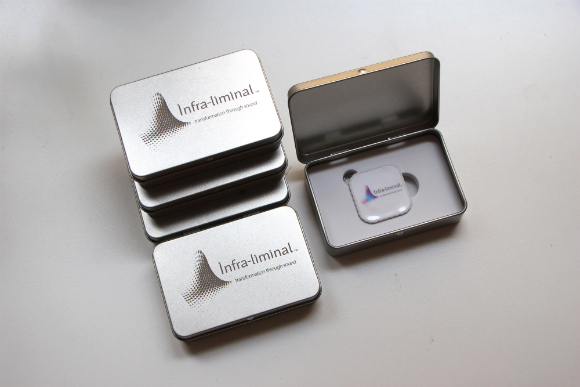 Infra-liminal technology is available as a download in AIFF format, or pre-loaded onto a USB drive in a gift case, via the links below. Infra-liminal sound is an innovative new sound technology that does not use binaural beats or isochronic tones, and creates remarkable changes in those who work with it. Please note that due to changes in EU VAT regulations the download option is sent out manually via email. I am very pleased to announce a new version of my Infra-liminal sound technology. This version is layered with relaxing water sounds and is designed to be listened to during the pre-sleep period (hypnagogia). The frequencies and form of the recording are designed to create an ideal state for those who would like to have OBEs from sleep or dream states and are in the Type 2 category as outlined in my book Navigating the Out-of-Body Experience. The two recordings of Infra-liminal sound work in a complimentary way, one being focused on waking (Type 1) states and the new deep mind version is for the sleep or dreaming state (Type 2). It is of course common for people to fall somewhere in the middle or to want to optimise their approach by utilising both forms of Infra-liminal sound. The Deep Mind version has been developed and tested since 2012 and when used consistently helps to build the state of mind for consistent out-of-body experiences from a sleeping, lucid or semi-conscious state. The recording is designed in 20 min cycles, as this is a common duration for trance states and the OBE process. You can simply fall asleep with the track playing, or listen to 1 to 4 cycles (the track is 80 mins long). I began to explore virtual reality (VR), Ericksonian hypnosis, and Neuro-linguistic Programming (NLP) to try and deepen the impact of what I was doing. 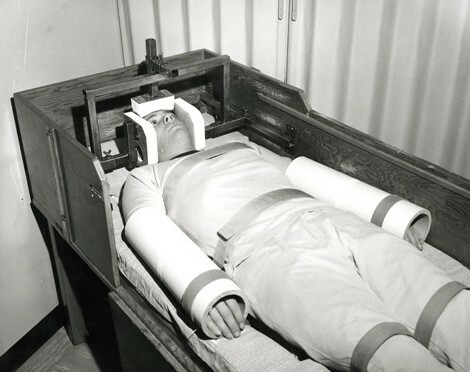 I also began to look into other areas, including the sensory deprivation research of John Zubek, a scientist who in the 1950s and 60s spent 15 years experimenting with the impacts of reducing our sensory perceptions. I also explored the wider research into sound, in as many forms as I could gain access to in the early days of the internet, and with few publications on the subject. I soon found that complex patterns of sound that I created using neuro-feedback were more effective in inducing altered states in those who I worked with. So I abandoned the well worn paths of binaural beats and began the process of developing what is today Infra-liminal sound. Sensory deprivation research undertaken by Dr. John Zubek. As I had been exploring the out-of-body experience (OBE) for nearly a decade in 1998, I was already skilled at entering the vibrational state, and felt this might be the key to helping others have OBEs. I used neuro-feedback technology to explore training myself with the state, and also to see how different frequencies changed my mood, brain state, or the sensations in my body. The result of exploring all of these many areas in conjunction was clear, these complex sound patterns created something more powerful and would be what I came to call Infra-liminal sound - 'Infra', meaning below, and 'liminal', meaning the transitional stage, or borderline between states of mind. “I start the Infra-liminal at the very end of practice, before savasana begins. We listen to it for 15 to 20 minutes at the end of every class, while I sit and read. My wife, Jen, was out of her body enough to hear what sounded like a gunshot (there was no audible loud or sharp noise of any kind) and she fell back into her body and waked suddenly. She has also had vivid imagery come to her but it fades quickly. She is able to settle very deeply into a relaxed state and feels as if she is “away from her body” while listening. Jen reports that she sometimes experiences a longer sense of time, of time passing slowly and also of having a difficult or distant response in returning to her body and the room. Sometimes I sound extremely far away when I close savasana and end the class. Yet it was not only his wife Jen who has these experiences, other members of the class also describe continuing experiences beyond the physical body through Infra-liminal sound. Collin found himself in a grassy place with no buildings around and no personal awareness of civilization at the moment. He was startled by something in the grassy location and jumped there, which in turn caused him to jump back into his body with a vivid, clear recollection of the experience. Amanda, Beth and Hillary have all had visions, interactions and remote viewing experiences with and of loved ones and pets, but they have not confirmed the details as far as I know. Hillary also spoke out loud as a result of a conversation she was having while out of body. People report both that time appears not to pass at all and also that they have been gone for extended periods. Most students report feeling as if they are gone, have lost bodily awareness or are floating in a very peaceful place or state of mind. The audio has profound effects on people who come to class and have not previously heard the sounds or had much, or any, experience of that kind of brain altering technology. It has been extremely beneficial for people in terms of integrating class and relaxing more fully both into, and out of, their bodies. No one in the group has prior experience with astral projection or shifting their consciousness to remote points or other places, but the sound itself does the job for them, in part, especially after class. When a man based in Ireland named Eamon signed up for private tuition with me, I didn't imagine that it would change the way I view Infra-liminal technology. I had long suspected that the sound patterns within my recordings could have therapeutic benefits, yet until that point I had not had chance to really explore the possibilities. Eamon, a longterm Buddhist meditator and therapist, knew immediately that the Infra-liminal sound was taking him deeper into his psyche than is generally possible without years of meditational practice. I received an email from him about a week into his work with the Infra-liminal sound, he wrote: "It is truly the most powerful practice I have ever done, and I have read, attended retreats, talks, meditated, but nothing has been so transformative. " 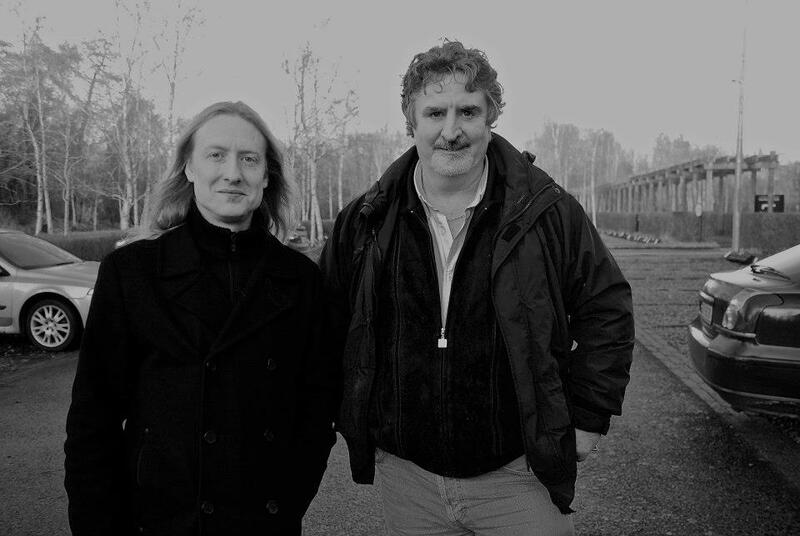 That was just the beginning, because as Eamon continued to explore within his own practice he began to consider the possibilities for those he worked with, many of whom suffered with extreme addictions. I met with Mark in Dublin just as he was applying to go to college, he thanked me for the help the Infra-liminal sound had been to him, and talked positively about his future. I was moved by the whole experience and the potential that I could see in the shift that this peaceful, yet powerful process could afford people. I feel that the work I have done since 1998 to develop and refine this technology is just the beginning. There is a vast potential for this technology to benefit people, both through consciousness exploration, and through the therapeutic potential for those with addictions and other issues. Infra-liminal technology is available as a download in AIFF format, or pre-loaded onto a USB drive in a gift case, via the links below, currently on offer at over 60% off. Infra-liminal sound is an innovative new sound technology that does not use binaural beats or isochronic tones, and creates remarkable changes in those who work with it. Whilst we take all reasonable care, by purchasing Infra-liminal products from State 1 International Ltd., and Graham Nicholls, you are doing so entirely at your own risk and no responsibility can be taken for any injury of any type, physical or otherwise, suffered by you or any participant. By using these recordings you accept responsibility for your own safety and well-being. If in doubt please seek medical/professional advice before using the sound recordings.